As Seen By Lloyd: Mosaic - an experience, a destination & celebration of life. Mosaic - an experience, a destination & celebration of life. Mosaic. 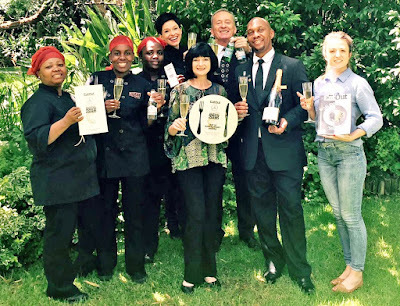 The only restaurant not in the Western Cape which placed in the Top 10 of the Mercedes Benz Eat Out Awards. Taking the No. 5 spot whilst celebrating a decade of pure excellence. 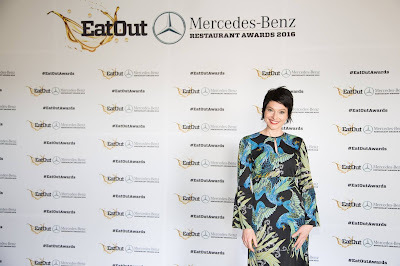 Mosaic has been in the Top 10 of the Mercedes Benz Eat Out Awards for the past 8 years with Chantel Dartnall winning Chef of the Year in 2009 & again in 2014. In the words of David Higgs: "Mosaic provides impressive, superior food and a seasonal menu where boundaries are pushed in a magical setting." Dartnall has a vision very similar for the next 10 years & hopes for it to stay the same. 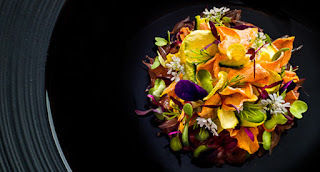 To celebrate excellence in food & wine; creating memorable & romantic special occasions for her guests & embracing all things beautiful while being dedicated to her vision of consistency, commitment, sustainable sourcing & the upliftment of the community surrounding her restaurant. Dartnall says that they are delighted to be ranked amongst the best restaurants in the country where there are so many passionate & hardworking chefs and being selected from such an illustrious group is an honour & humbling experience. 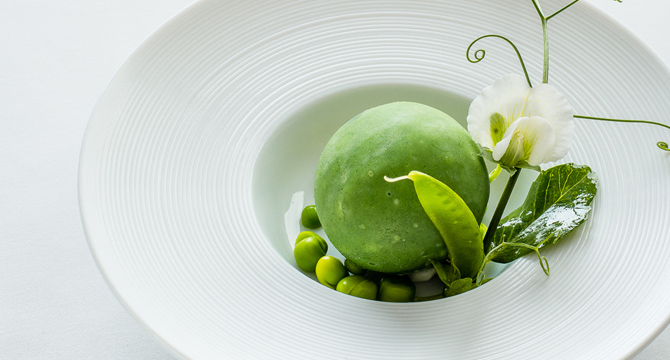 Over the past 10 years, Dartnall's approach to cooking has matured & resulted in her dishes evolving into more precise, yet still delicate, botanical pieces. 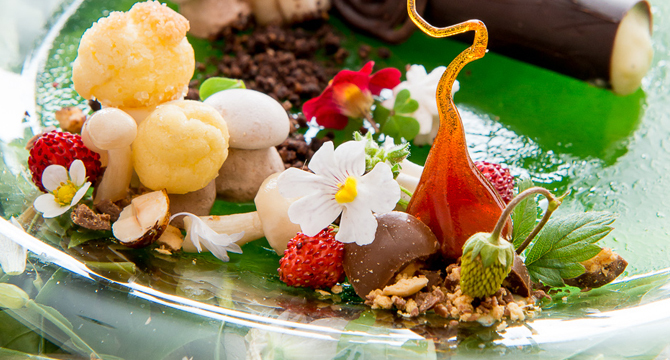 Where all the flavours are still in balance with each other; from the intricate amuse bouche to the sweet savourings of dessert. Each is unique on their own, but come together in a beautiful story where ingredients become a chapter that in the end flow together in perfect harmony - creating a magical ambience. 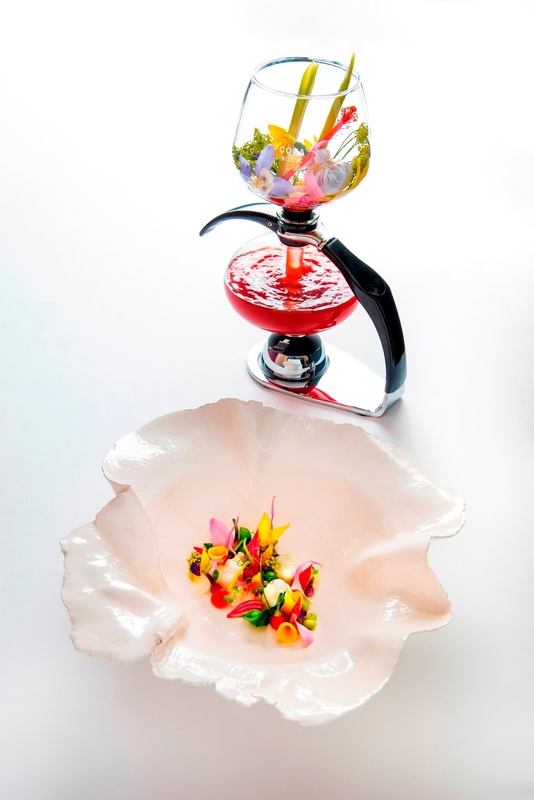 Delicate herbs & flowers are more than just garnish at Mosaic. They become essential ingredients which allow patrons to not only emerge themselves in the tranquility of nature, but also take advantage of the health qualities of each chosen ingredient. Creating memorable experiences where each dish is perfectly paired with the ideal wine & even the plate & cutlery is chosen with great care whilst paying the greatest attention to detail. A beautiful symphony that is unique to Mosaic. "Mosaic is an experience, a destination & celebration of life."